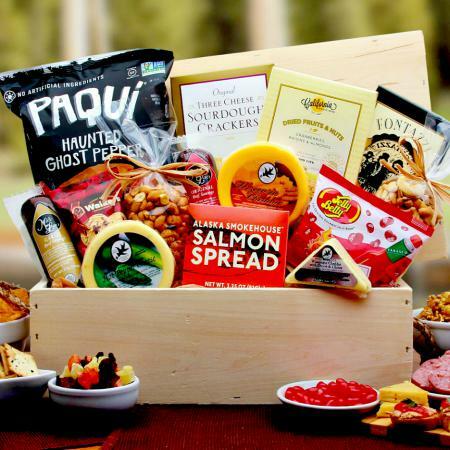 A classic combination of great tasting gourmet snack foods that guys (and gals) really love. 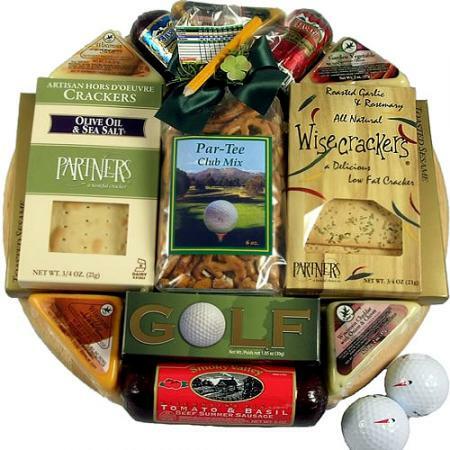 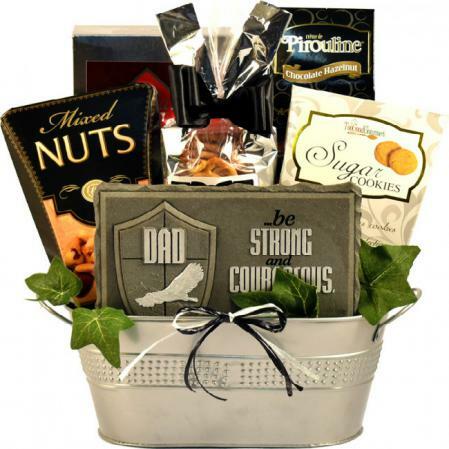 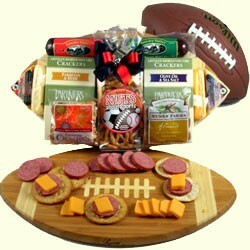 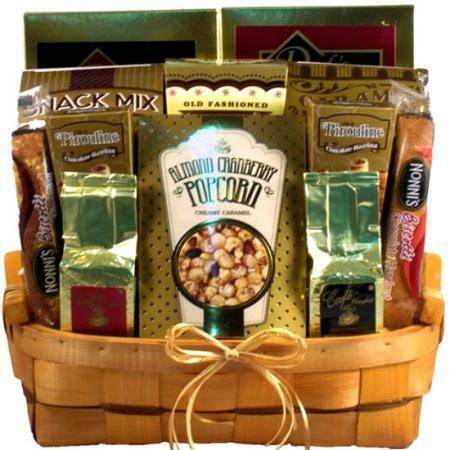 Large quantities make this a great gift for crowds as well as for individuals! 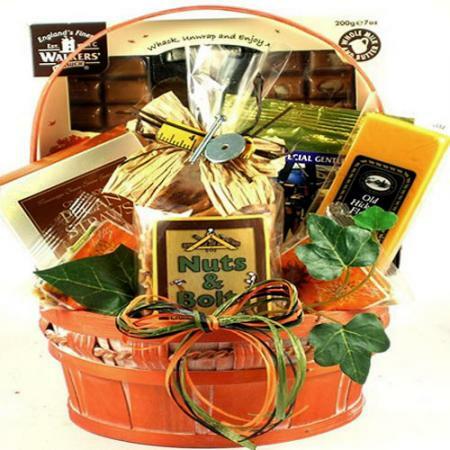 An appealing gift idea for any occasion. 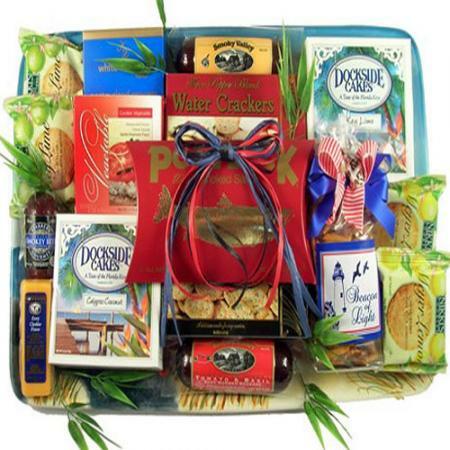 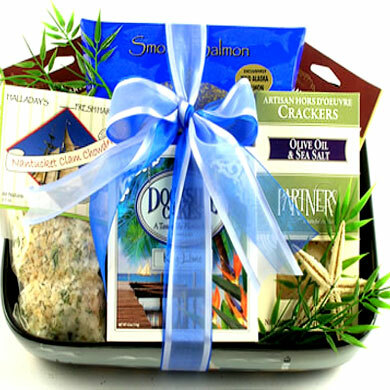 This beautiful seagrass gift basket arrives filled with the classic combination of delicious salty snacks and mouth-watering sweet treats in large quantities making it a great gift for crowds as well as for individuals! 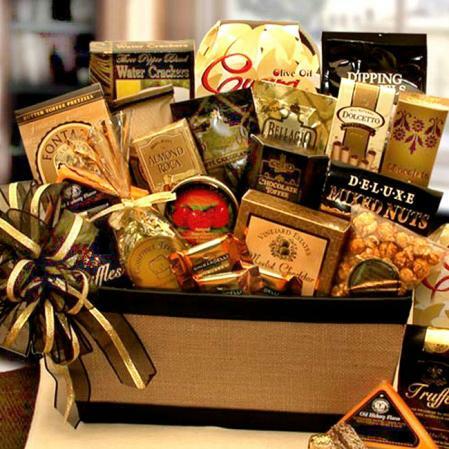 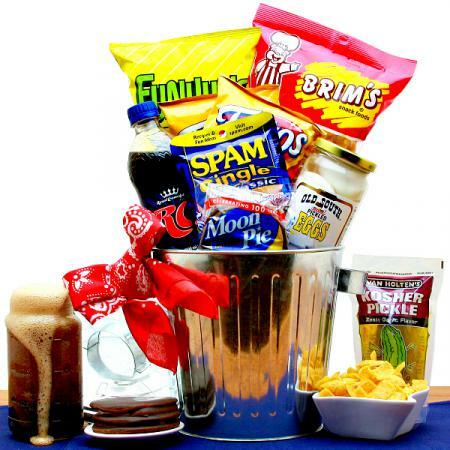 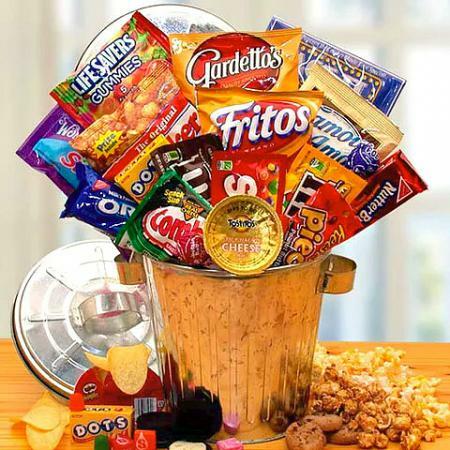 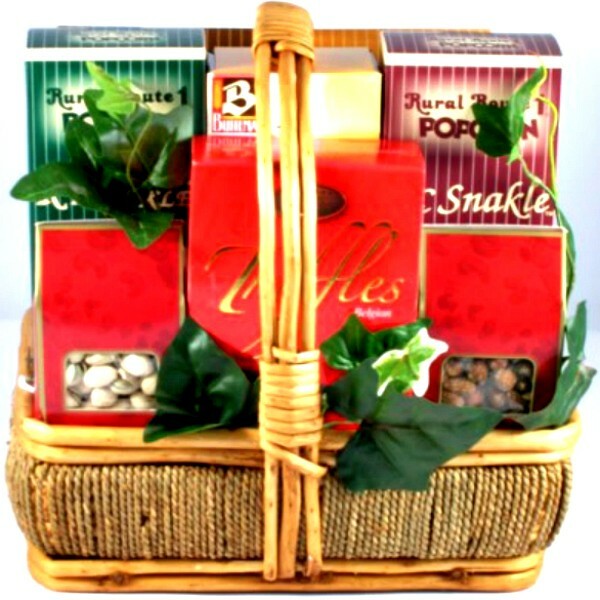 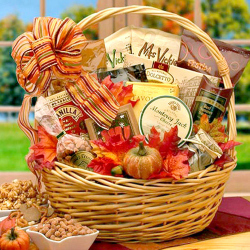 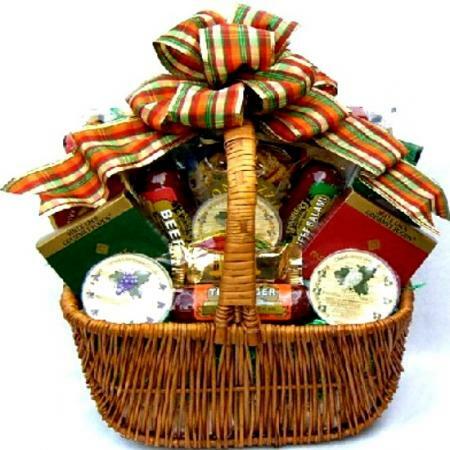 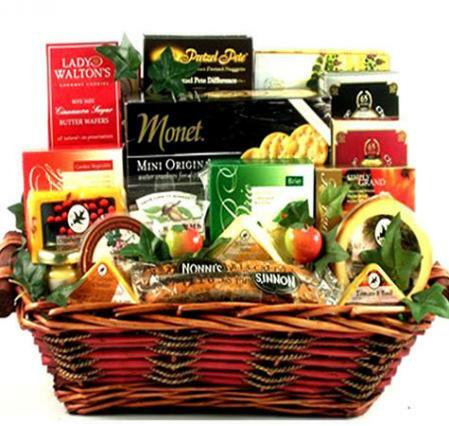 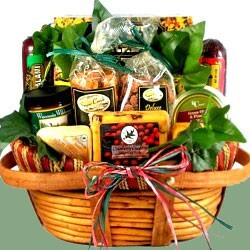 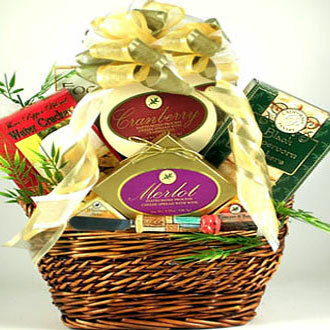 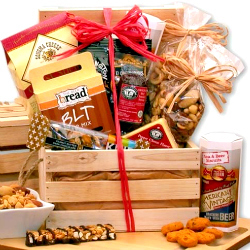 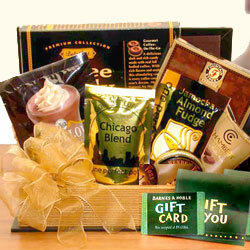 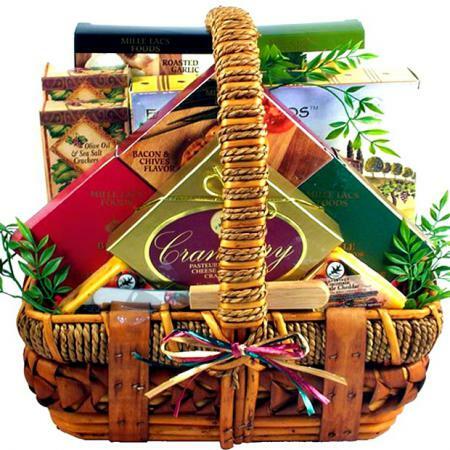 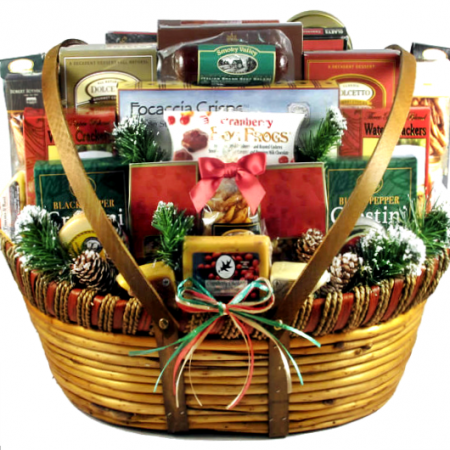 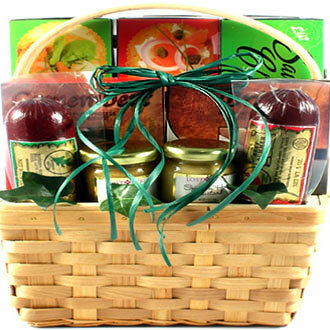 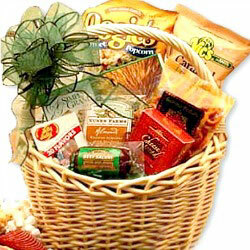 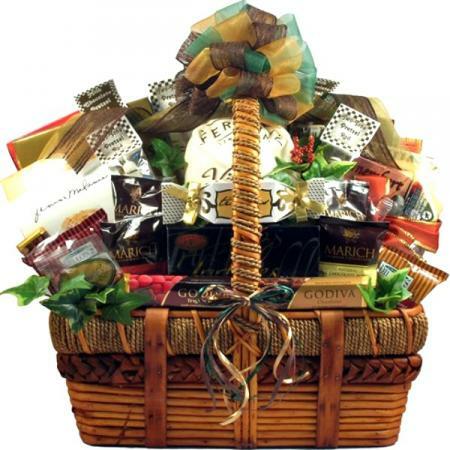 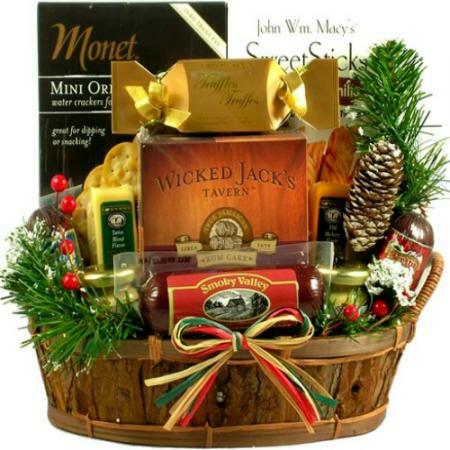 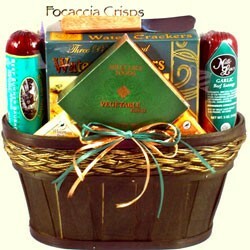 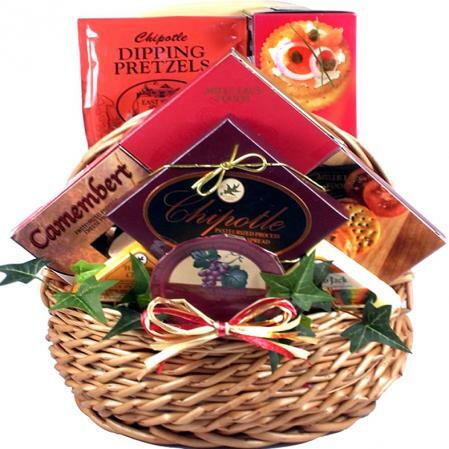 This beautiful, big basket includes our most popular gourmet sweets and snacks. 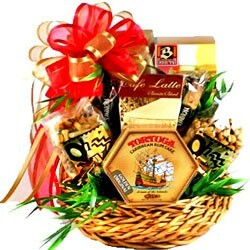 Sweet and salty, a classic combination that includes rich, luxurious Belgian truffles and salted nuts in the same basket.